July 18th 2018:Happy Friday the 13th!! Randi interviews Val for Chapter 2 of her book "Swimming with Alligators" and gives health tips. The team celebrates Friday the 13th as a lucky day and so it is. Find out about the Templars and what Dan Brown had to say about them. Tune in and share with and share with your friends. 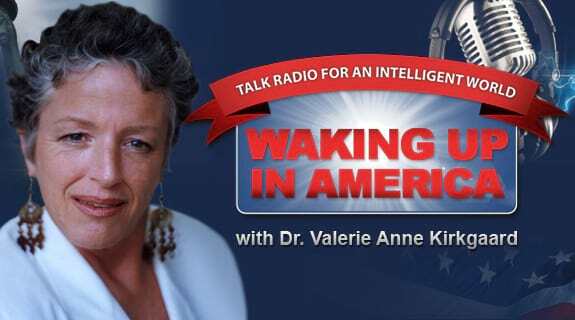 The show downloads are free from our site @ WakingUpinAmerica.com. http://www.Happily200.com will change how you see aging. http://www.Happily200.hghbreakthrough.com will REVERSE your aging process. At DoctorValerie.com - schedule a complimentary appointment. Lose an issue or two at no charge to you.